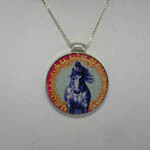 Desc: Sterling Silver Reversible enamel Horse dangle earrings. The Sterling Silver earrings dangle from French wires. 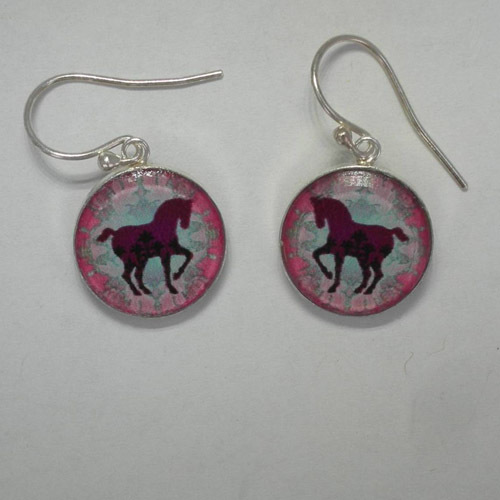 The earrings have a prancing horse with burgandy, pink, blue and black enamel. The opposite side is a great stallion charging at the viewer. The enamel colors are blue, green, orange and yellow. 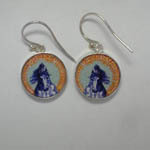 The earrings have a bright polish finish. 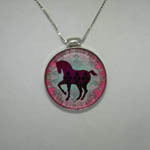 We have a matching necklace, see SK931.